Private, modern cabin located on 4 acres of majestic Blue Ridge mountainside within striking distance of many local attractions such as Mabry Mill, Chateau Morrisette, Rock Castle Gorge, Buffalo Mtn, Meadows of Dan, Primland and more . A spacious open floor plan creates an intimate atmosphere for cooking, dining, reading, board games or lounging. All modern appliances including air conditioning, dishwasher, microwave, electric range, toaster oven, washer & dryer, satellite radio, flat screen tv with long range HD antenna, dvd/blu ray player, surround sound, and baseboard heating. A wraparound deck with forested mountain views offers outdoor seating and dining with table, chairs, and charcoal grill. There are two bedrooms and a loft with 2 king size beds and 1 queen bed. 1 full bathroom with shower and large claw foot tub. Cabin is conveniently located 1 mile off Blue Ridge Parkway at mile marker 174 and is only 4 miles from Chateau Morissette and only a 10 minute drive to Meadows of Dan (for the nearest gas and grocery) and only 20 minutes to the town of Floyd. Beautiful views, wonderful amenities, no cell service. Everything needed to unplug for a few days! 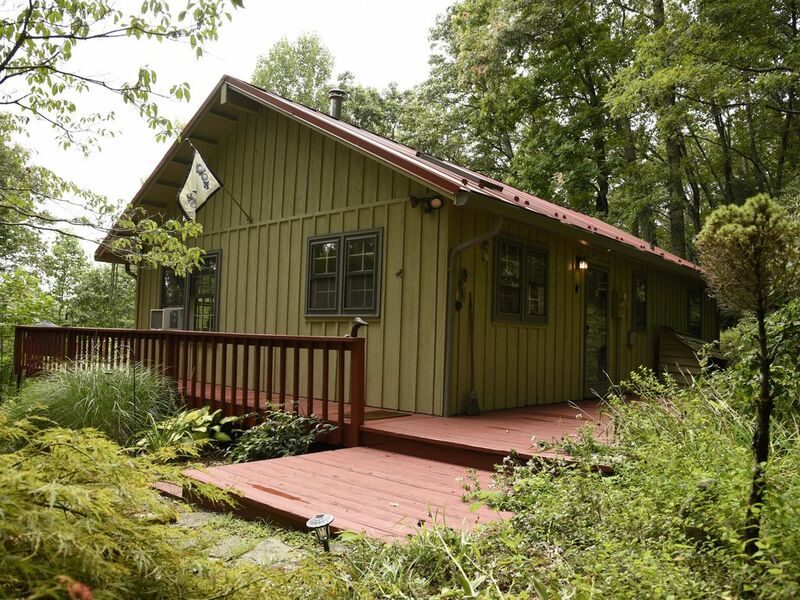 Clean, comfortable, well stocked, quiet,and well located near Rocky Knob area. It was a pleasure dealing with John. He was very responsive. Everything you could possibly need in the kitchen was there. We would certainly recommend staying here. The cabin was super clean and cozy. Beds were very comfortable. The back deck was my favorite with a cup of coffee. I would recommend this cabin as it is very close to Mabry Mill and other shops. Secluded setting, comfortable cozy mountain cabin. We enjoyed the whole visit even though it rained every day. Great place to relax & recharge. Lots to see on the parkway and in Floyd.